Last time we posted a picture of vegetables from Órgiva market. 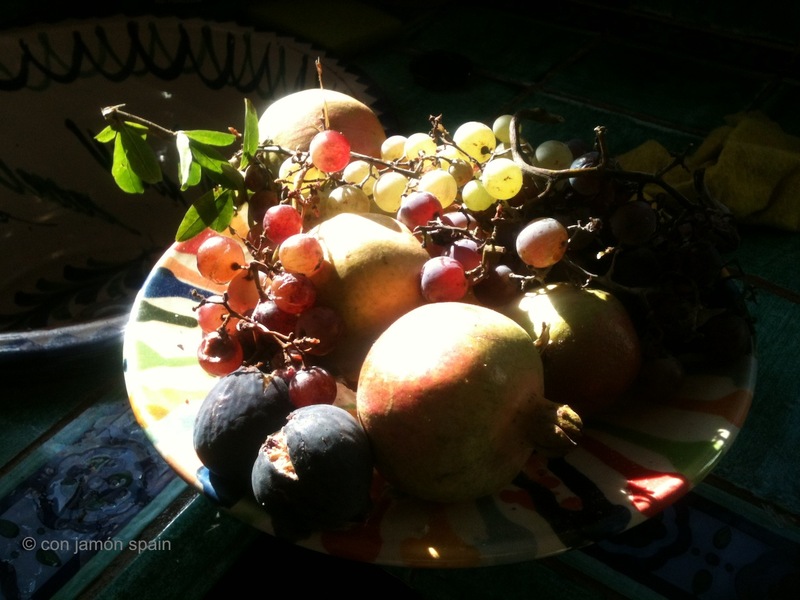 Here is some fruit picked from our garden including grapes, figs and pomegranates. We’ve counted just ten avocados on two trees so far – they should be ready to pick in a month’s time and then left to ripen for several days. We think it looks a bit like an Old Master painting, but with flies buzzing around it.